The Nursing and Midwifery Council (NMC) has introduced revalidation to replace prep as a way of assuring the public that nurses and midwives are keeping their knowledge and skills up to date. Complete at least 20 of your CPD hours alongside others. Collect and review feedback from a variety of sources. Write at least five reflective accounts. Hold a reflective discussion with another registrant. Have your compliance checked by a third party. Maybe, but if you’re full time then you will complete this many hours in three months, let alone three years. You need to be concerned only if you work just occasionally, or take a career break, but bear in mind that all nursing practice counts, including voluntary work. The change here is that a minimum of 20 hours’ CPD must be ‘participatory’, which means learning alongside at least one other person. So a one-to-one session on clinical skills would count, but so would learning in a larger group. The CPD must be linked to the NMC code of conduct, so must be relevant in some way to your nursing and midwifery practice. What kind of feedback should I collect? Any feedback of any kind from anyone, just so long as it relates to your practice. It could be a complaint or a compliment. It could come from a patient, colleague, visitor, student or manager. It could be for you personally or to your team. It could be written or spoken. None of this matters – what is important is that you reflect on the feedback and enhance your practice as a result. What was the nature of the CPD activity and/or practice-related feedback and/or event or experience in your practice? How did you change or improve your practice as a result? How is this relevant to the Code? How will the reflective discussion work? First you will choose another person on the NMC register with whom to have your reflective discussion. The meeting must take place during the 12 months before your re-registration date. During the discussion you will go through your reflective accounts, practice-related feedback and CPD activities, and reflect on how your practice has changed or improved as a consequence. Nearly there… Finally you need to find someone who can confirm that you have met all of the revalidation requirements. This could be the same person with whom you had your reflective discussion, but not necessarily. Your confirmer does not have to be an NMC registrant, so you could try another member of the multidisciplinary team if you prefer. He or she will not pass judgement on the quality of your work or fitness to practise, but will check you have completed enough hours in practice, undertaken sufficient CPD, written at least five reflective accounts and held a reflective discussion. How will the NMC know I have complied? The NMC will send you a letter 60 days before your re-registration date to let you know that over the ensuing two months you will be able to go online and complete the necessary forms. They cover each of the elements mentioned above. At this stage you will need to self-certify that you are of good health and character, and confirm that you have appropriate professional indemnity insurance. That must be all, surely? In most cases, yes. But there is a chance you will be asked to provide the NMC with more detailed evidence of your practice hours and CPD. This will mean informing the regulator where you worked, when and in what role, as well as explaining exactly what was involved in your CPD activities. The NMC is not saying how many registrants will be selected for audit, but it is likely that some will be chosen at random, others because they are in professionally isolated roles, and a third group of people because they work in organisations that have been in difficulty. What is RCNi doing to help? RCNi publishes ten nursing journals that can help with revalidation by keeping your knowledge up to date. All are published online and in print. Nursing Standard carries a CPD article and related questionnaire in every issue, and our monthly journals on more specialist areas such as cancer, mental health and learning disabilities are increasing the number of CPD articles they publish too. 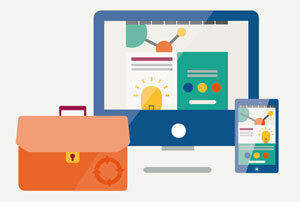 Our new platform, RCNi Learning, will allow you to complete CPD activities online using a wide range of devices. And the RCNi Portfolio makes it easy to store all of your evidence of practice, feedback and CPD in a single place while tracking your progress. Our online portfolio is included in journal subscriptions or can be purchased as a separate product.